When a customer is looking for a product, service, promotion, or anything from anywhere in the world, they’re likely going to search for it on Google. That customer is looking for you. For any business, AdWords can be a hugely successful method of driving traffic, marketing your product and ultimately getting increased sales. Any business, regardless of size, wants to be found on the first page of Google. Getting seen by customers at the exact time they are looking for your information, products, services, deals or location is intent marketing – and it’s profitable. With Google AdWords you have an edge in getting your message viewed by your market, exactly when they’re searching for your specific product, service or offers. With TechnoContract Associates Ltd’s expertise on Google AdWords, you can reach your customers, drive traffic to your store or website, and ultimately increase sales. 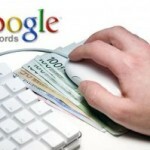 Google AdWords needs to be a part of your online marketing plan.